Join me in raising funds and awareness for United Hatzalah of Israel. I am doing this In Honor Of Eli Beer - LOSE IT OR USE IT Challenge . In honor of Eli Beer's (and my own) birthday I am sharing a thank you and challenge to Eli and his friends. 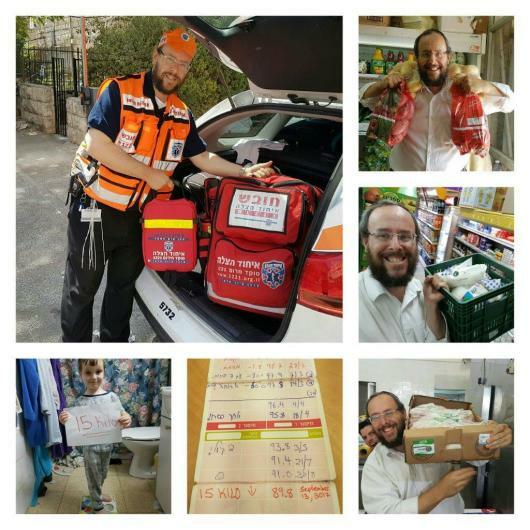 Eli started a weight loss challenge for team members at United Hatzalah headquarters. I managed to lose 15 kg (around 33 pounds) and was amazed at what a difference it makes. The short clip here really shows what 15 kg feels like. I want to make a challenge for others to LOSE 15 kg or USE 15 kg of 5 shekel coins to donate a defibrillator to United Hatzalah. I nominate Eli and Dovi Maisel to take the 15 kg LOSE IT OR USE IT challenge! 15 kg LOSE IT or USE IT - I love it!